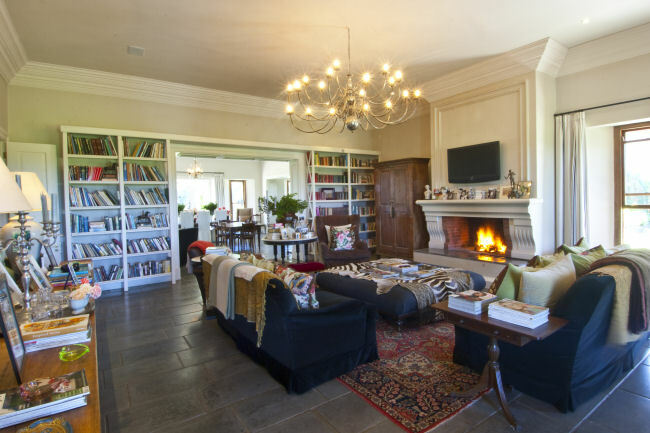 In the heart of the Garden Route, nestled between the Tsitsikamma Mountains and the unspoiled beach of Nature’s Valley, lies the beautiful 7 bedroom stately home of Kurland Estate. 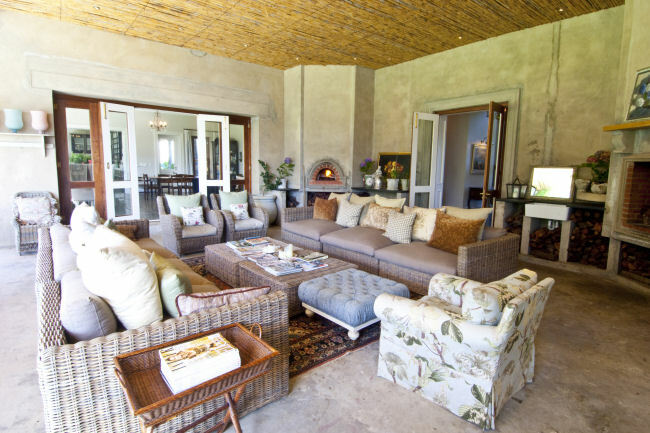 The Villa, which has been in the Behr family for three generations, is on 700 hectares of beautiful, park like surroundings, making it suitable for families or groups looking for an exclusive, secluded country living experience. 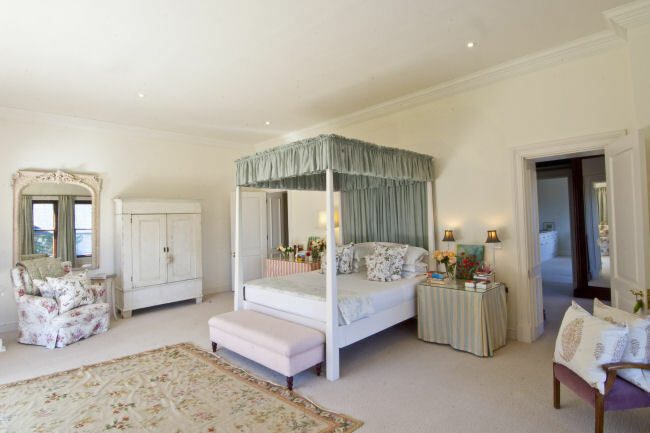 Guests are welcome to explore the Estate by foot, quad bike or horseback, as well as having access to all the facilities of the Estate’s Fiver Star boutique Relais & Chateaux hotel, including its excellent restaurant, Spa and children’s care programmes. 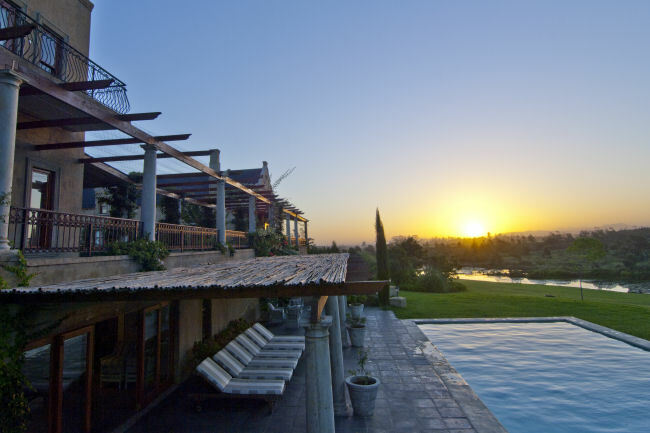 Located on the Polo Estate, it is also the perfect base for Polo enthusiasts. 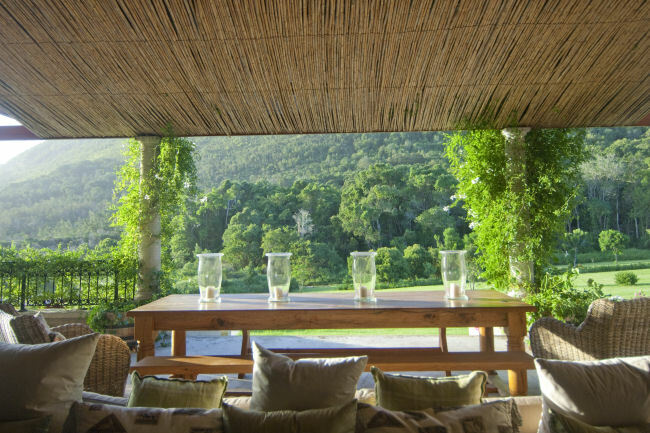 Although ‘Far from the Madding Crowd’, it is close to the beach life of Plettenberg Bay. 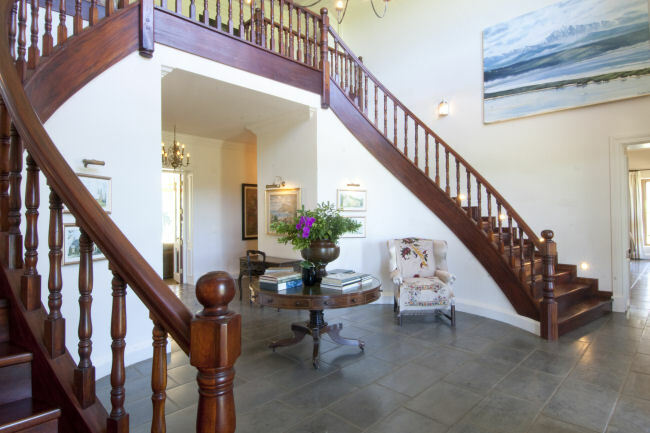 The house is a large, recently built home designed in the Cape Dutch tradition, but in which all requirements of modern living are fully catered. The interior finishes are of the highest specifications with beautifully elegant furnishings. Uninterrupted views of the unspoilt countryside. Broad band wireless & Satellite TV in main living areas and Main and Guest Bedrooms. Permanent cleaning and gardening staff. 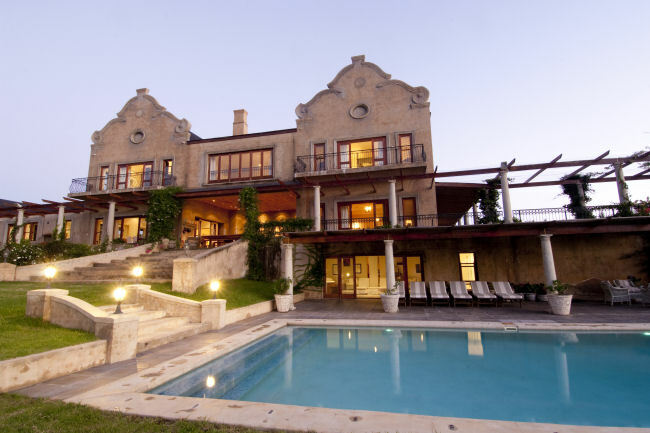 Located on Kurland Hotel and Polo Estate. 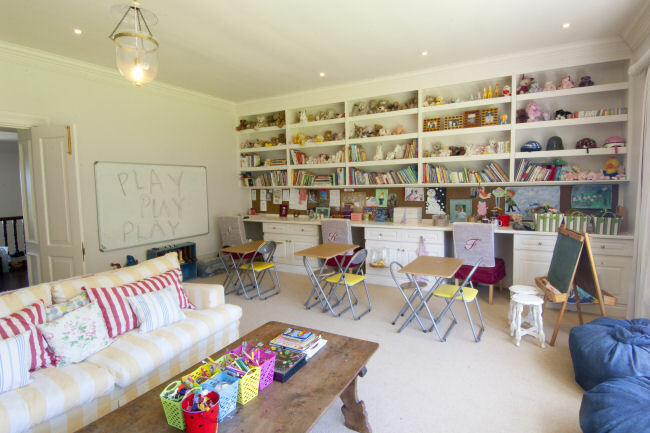 Access to 5* boutique Relais & Chateaux hotel’s restaurant, Spa and children’s care programmes. 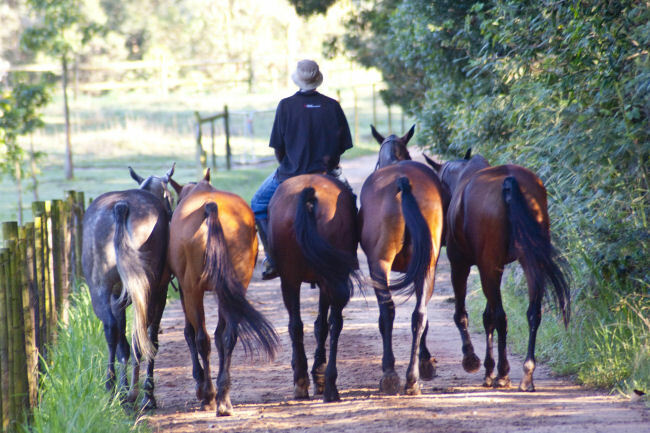 Mountain bikes, quad bikes, polo instruction, horse riding, tennis court. 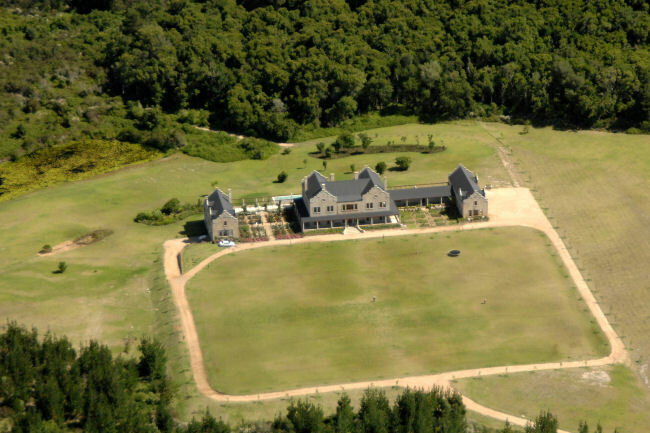 19 km from Plettenberg Bay – known for whale and dolphin watching, as well as deep sea fishing. Minutes from Nature’s Valley beach. The Keurbooms River has facilities to hire small boats to spend a day up the river – excellent birdlife. Close to Elephant, Wild Cat, Monkey and Bird Sanctuaries. The main house comprises of two floors with a separate west wing. Main en-suite Bedroom with adjoining study and computer. Two further double bedrooms with large bathroom. Verandah with BBQ and pizza oven. 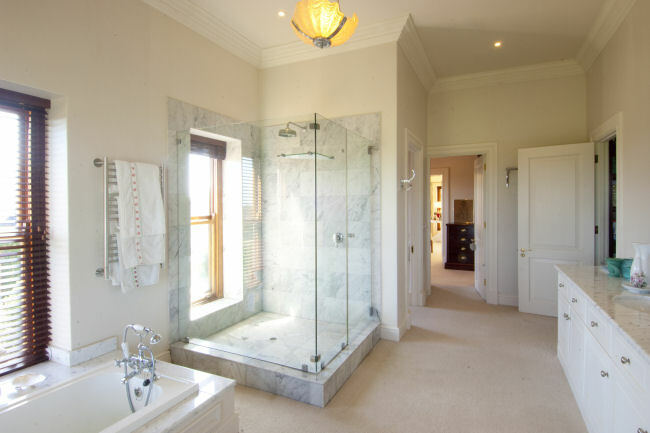 Spa with jacuzzi, sauna, steam bath and changing room. 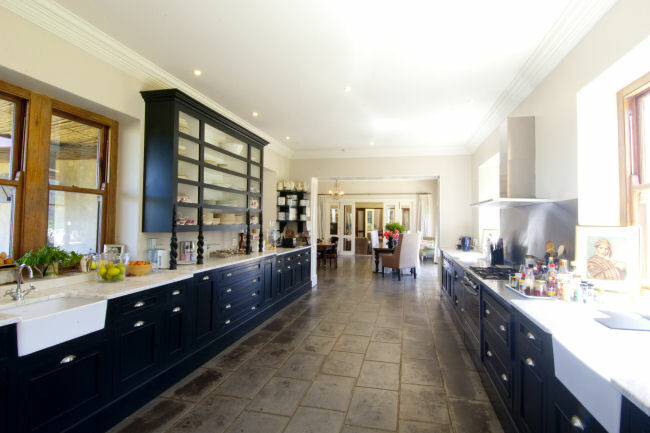 Separate west wing includes two en-suite bedrooms, living/TV room with open plan dining room and fully equipped kitchen. 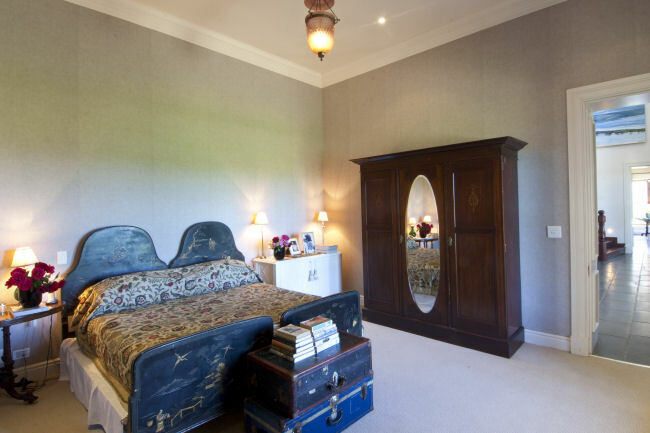 Below is an en-suite bedroom, also living/TV room, small dining room and kitchenette. 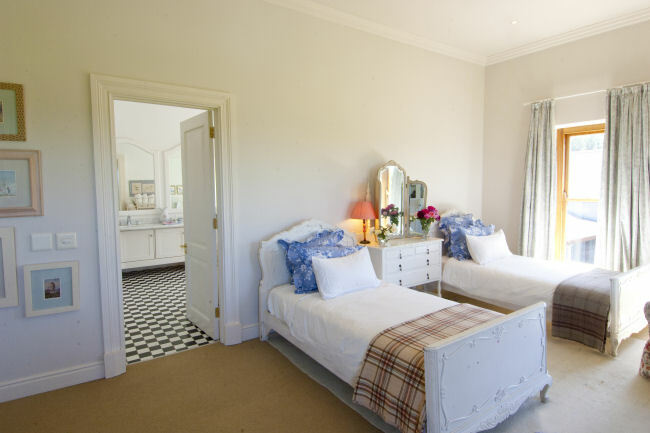 All rooms have uninterrupted views of the unspoilt countryside. 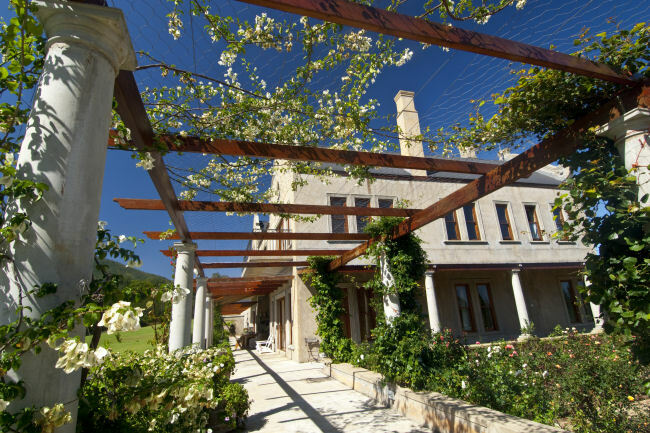 Kurland Villa has a permanent cleaning and gardening staff, and, if required, a Butler and Chef will be included in the rate for the duration of a guest’s visit.